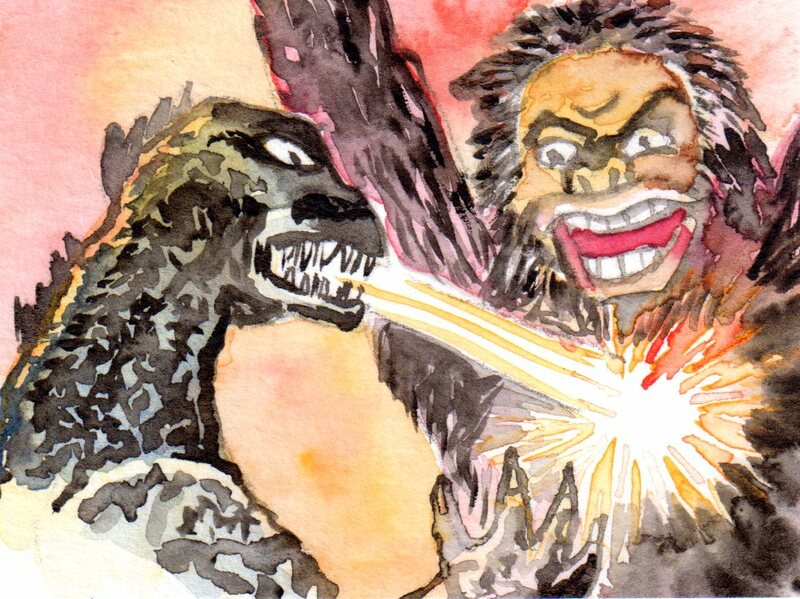 Inspired by the 1962 film, a dynamic watercolor painting of the King Kong battling Godzilla. Watercolor paint and colored pencil on 3.5″ x 2.5″ 140 lb. Cold Press watercolor paper.